Trump has declared that he is repealing the Clean Power Plan, an administrative policy issued by President Obama. That Plan was designed to reduce greenhouse gases (GHGs) by lowering the carbon dioxide (CO2) from power generators, especially coal plants. States had the flexibility to devise plans best suited to their needs. Options included: increasing the generation efficiency of existing fossil fuel plants; substituting lower CO2 emitting natural gas generation for coal powered generation; or substituting generation from new zero carbon dioxide emitting renewable sources for fossil fuel powered generation. States could use regionally available low carbon generation sources when substituting for in-state coal generation and coordinate with other states to develop multi-state plans. That is, they could get credits, or an off-set, by adopting renewable energy sources at sites other than the polluting plant. The clear intent was to move power generation away from polluting coal plants to natural gas and renewable energy, as well as to enhance energy conservation. The problem for the Trump administration is that it cannot simply repeal the Plan, although it was based on an executive action, without replacing it with some regulation addressing the environmental and health effects from CO2 emissions. The New York State Attorney General, Eric Schneiderman, and others have indicated they will sue the Trump Environmental Protection Agency (EPA) over this action. That lawsuit will certainly be based, in part, on the so-called Endangerment Finding issued by EPA under President Obama (December 2009), and that Finding grows out of litigation against the EPA under President George W. Bush. After rulings by several lower federal courts, the case was heard by the U.S. Supreme Court. In Massachusetts v. Environmental Protection Agency, 549 U.S. 497 (2007), the Supreme Court held that greenhouse gases (GHGs), including CO2, are “pollutants” under the Clean Air Act. The Court also rejected a “laundry list” of other reasons for inaction advanced by the Bush Administration as not consistent with the relevant provisions of Clean Air Act, which require regulation when EPA finds that emissions of a pollutant endanger public health or welfare. Following the U.S. Supreme Court ruling, Barack Obama was elected as President, and a new, more environmentally-friendly EPA was constituted after Obama took office in January 2009. On December 15, 2009, the EPA determined, based upon a careful review of the scientific record, that greenhouse gas emissions endanger the public health and welfare of current and future generations – an action that the D.C. Circuit Court upheld. The Endangerment Finding (“Finding”) held that: greenhouse gas pollution generated by human activity is causing climate change; that greenhouse gas pollution will endanger public health; and, that greenhouse gas pollution will endanger public welfare. Those basic tenets of the Finding, that was upheld by the D.C. 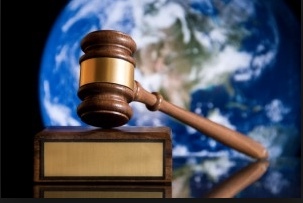 Circuit court, directly contradict the fundamental basis on which Trump and other Republican party members deny the reality of climate change. The Trump administration could try to overturn the Finding, on the grounds presumably that it is not supported by facts or science. But that is likely an impossible task as the overwhelming consensus by the scientific community, including over 95% of peer-reviewed literature, supports the Finding. While the supporters of fossil fuel interests in Congress continue to turn a blind eye to the consensus on climate change, federal courts will not easily ignore such a record. Absent overturning the Finding, Trump will have to replace the Clean Power Plan with a different way of regulating GHG emissions from power plants, including coal plants. While his administration will of course look for a softer, less burdensome regulation, any such effort will be subject to public consultation and judicial review. Any repeal and replacement may also be subject to Congressional approval, as was the efforts to repeal (and maybe replace) Obamacare, and we know where that went. All of this will take time and may not be completed by 2018, when the Democrats have a shot at wining back the House, or by 2020, when Trump may be returning to real estate practice or a new reality TV show, “I’m Still the Greatest President.” A Democratic President in 2020, if not a Democratic House in 2018, would most likely halt any repeal and replace, and re-instate the Clean Power Plan or something even more onerous for power generators. Despite Trump’s fake tough talk, there is a lot of uncertainty about federal regulations of GHGs, even while states and cities move increasingly more toward a low-carbon economy. Such uncertainty disturbs most businesses. More and more of the larger businesses and public authorities accept the basic tenets of climate change, as adopted in the Finding, as well as the need for and economic benefits of renewable energy sources. They also recognise that renewable energy is the wave of the future for energy and the economy, and that the future is here already. For example, the State of Arkansas was one of the parties that challenged in court the Clean Power Plan. Yet the State Public Service Commission, responsible for regulating power plants, is shifting from coal to natural gas, and exploring clean energy options. The Chairman of the Commission acknowledged that even if the Clean Power Plan is repealed or replaced “with something that doesn’t require us to do very much, you still have to reckon with the fact that ultimately regulations on carbon are coming.” (Emphasis added) He added: “You can either be prepared or unprepared … and that’s a pretty simple choice.” (See Sources: NY Times). Many of those who resist climate change actions, like the Clean Power Plan, understand that the movement to a low-carbon, or even carbon-free, energy sector and economy is inevitable. Renewable energy sources and technological developments are ensuring that. But some of these also know that every year they delay that inevitability, they save enormous sums of money that they have invested, and continue to invest, in fossil fuels. One suspects that even the Koch Brothers understand this reality. So like the tobacco industry campaign to fight regulation of cigarette smoking, delay is the name of the game for fossil fuel interests, and their political supporters, even they know the game is essentially over.